It's time to break out that ice pop mold! Do you own an ice pop mold? Maybe you bought it for a special recipe once and now it's just taking up space in your cupboard? Now's the time to pull it out. It's hot out. And nothing beats the heat like something frozen. I'm guessing that the reason you're not using your ice pop mold very often is because you think you need to follow specific ice pop recipes to use it, and lack of time or lack of ingredients is getting in the way. I get it, I've been there. Epicurious has a lot of crowd-pleasing recipes if you want them, but the great thing about an ice pop mold is that you don't need to follow a recipe to use it. A lot of ingredients that you probably already have in your fridge or pantry can be frozen into perfectly satisfying ice pops—and they don't necessarily need to be sweet. You also don't need to use every mold at the same time or for the same thing: fill each mold with something different and your freezer will suddenly become more exciting than any variety pack you can buy in the ice cream aisle. Next time you make iced coffee or iced tea, make extra and pour it into an ice pop mold. Add a little milk and maybe even some sweetener, and you'll be able to get your caffeine fix in a totally refreshing and unexpected fun new way. 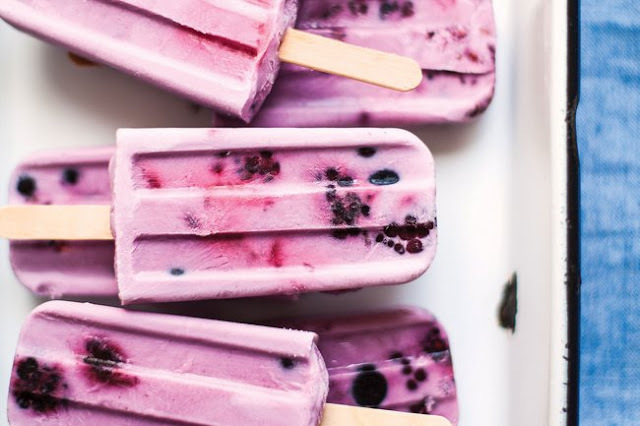 Turn your favorite breakfast yogurt parfait into an ice pop. Stir together some yogurt and jam or fresh fruit and even granola and pour it into ice pop molds. Any kind of smoothie will also make a great ice pop. Any morning you're making a smoothie, just pour a little bit off into an ice pop mold and you'll have a healthy frozen treat to enjoy in the afternoon or after dinner. If you ever find yourself with leftover pudding, spoon it into ice pop molds and freeze it into a decadent frozen dessert on a stick. Or make (or buy) a batch of pudding just for the purpose of turning it into ice pops—rice pudding pops are surprisingly addictive, and chocolate pudding pops will remind you of the Fudgsicles you grew up with. Make your own ice cream bars by softening any kind of ice cream you like, mixing in some fruit, candy, nuts, cookie chunks, jam, chocolate sauce, peanut butter, or what have you, and spooning it into ice pop molds. Be sure to pack them in firmly so they re-freezes in a solid form. Once they're frozen, you can get even more crazy and unmold them, dip them in melted chocolate and re-freeze for chocolate-coated ice cream bars. On the hottest summer evening, wouldn't it be nice to nibble a frozen cocktail rather than drink one? Your favorite cocktails can easily turn into ice pops, so long as there is enough water or juice or non-alcoholic liquid in the mix to help them freeze. Wine ice pops are amazing too, and a great way to preserve any wine remaining in a bottle you opened but can't finish. Just mix that wine with some juice or water (use at least equal parts wine and non-alcoholic liquid) and maybe some fresh fruit and freeze it in your ice pop molds. An ice pop mold is basically a huge ice cube tray that you can put sticks in. But you don't have to put sticks in it. These extra-large ice cubes are especially good for serving a cocktails in pitchers or punch bowls. For an eye-catching touch, tuck a few sprigs of fresh herbs or edible flower petals into each mold before you fill it with water, or add whole berries or slices of fruit.